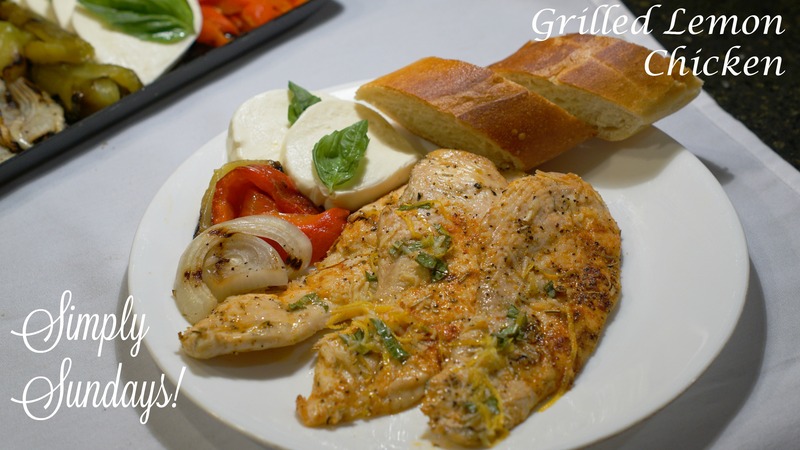 Grilled Lemon Chicken – Simply Sundays! The first time we had this at Brian’s house, we actually stopped on the way home to buy all of the ingredients to make it again. It’s that good. And super simple! Arrange on a platter with fresh mozzarella & basil or be creative and use what you’d like! Serve up with some crusty bread, cheese, grilled veggies and some good company!